Saving the world, one child at a time. Universal Aid for Children, Inc. is dedicated to fulfilling the medical, educational and emotional needs of orphans, orphanage graduates, displaced children and young people with disabilities in the Odessa region of Ukraine. Please join us in our continual effort to relieve the pain and suffering of these deserving children. You can make a difference! Follow our new Twitter Page! Help us out by shopping through Amazon Smile! 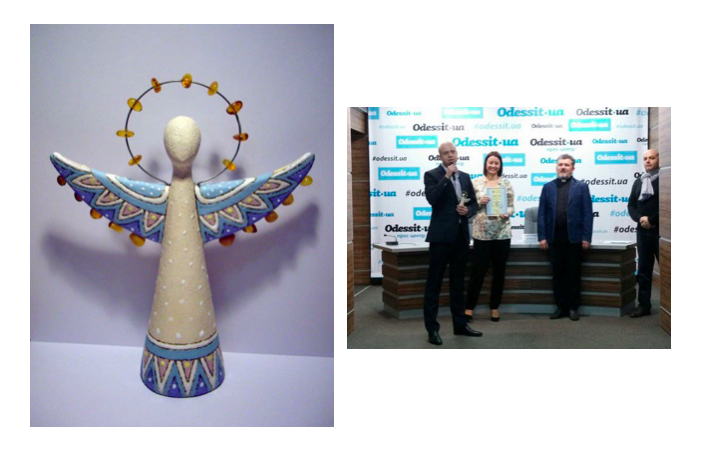 Address: Universal Aid for Children, Inc.
On March 21, 2017, Universal Aid For Children was given “Best Foreign Charity Angel of Goodness Award” by the National Association of Philanthropists Ukraine! UAC is very proud of our team in Odessa for achieving this important honor. Congratulations to the whole UAC family for their support and dedication to make a difference in children’s lives! 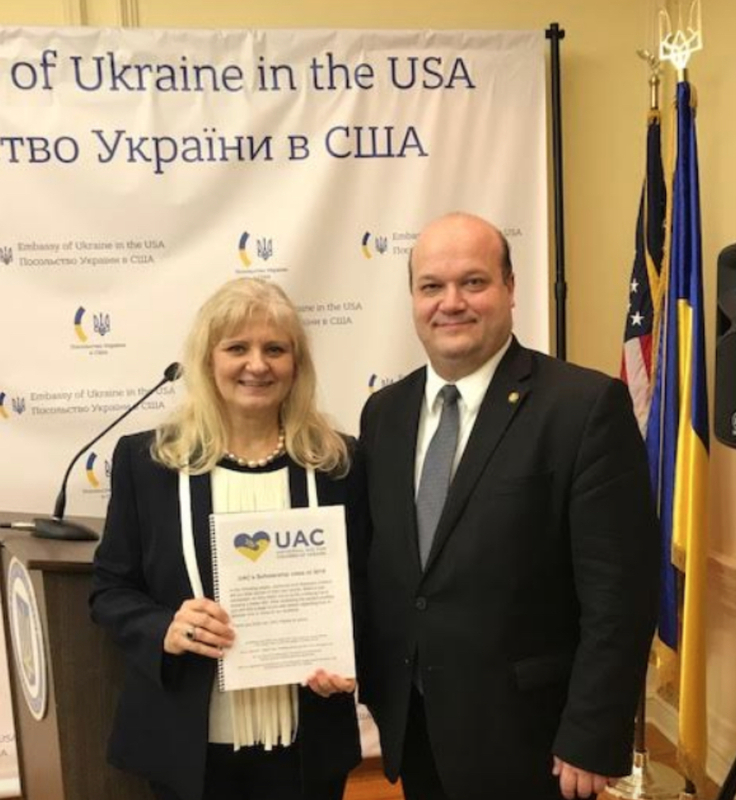 Ambassador of Ukraine to the United States, His Excellency Valeriy Chaly, meets with Ms. Iryna Tishchenko, the Executive Director of Universal Aid for Children (UAC), at the Ukrainian Embassy in Washington, D.C. The evening was the annual commemoration of the Heavenly Hundred who laid down their lives during the Ukrainian Revolution of Dignity of 2013-2014. Ms. Tishchenko is presenting Ambassador Chaly with a book about the UAC Scholarship Program for orphans and refugee children in the Odessa Region. Some of the graduates of the UAC Scholarship Program are currently serving in the ATO front lines. © 2017 Universal Aid for Children. All Rights Reserved.